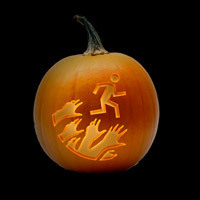 Celebrate Halloween with a Zombies, Run! sale – Zombies, Run! You might have noticed that Zombies, Run! has been on sale on the Google Play Store for a few days. We were thrilled to be featured on the Google Play Store homepage during this time, since we’re big fans of Android as a platform and we’re always looking to improve our Android version (including bringing Zombies, Run! 5k Training to Android). To celebrate Halloween, our sale will be continuing for another week – and today, we’re expanding it to include the iOS App Store and Windows Phone Marketplace. For one week, Zombies, Run! will be 50% off on all platforms. Because what is Halloween without Zombies? It’s the last discount we’ll be doing for a while, so we hope you all take advantage of it. If there’s someone you know on the fence about picking up Zombies, Run!, now would be a great time to let them know (or gift it to them)! Previous Post Race missions coming to Zombies, Run!